To analyze, summarize and legally appraise companies’ suggestions to make amendments into laws, and to lobby their adoption; to hold sectoral exhibitions, scientific conferences and congresses; to perform expert appraisal and provide comprehensive assistance for investment projects; to ensure diplomatic support for the Russian oil companies who participate in developing overseas oil fields and many other things – refer to day-to-day activities of the Union. 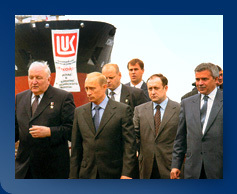 For experts to work on the most pressing problems, the Economic Council of the Union was set up, whose activity and recommendations relate to elaboration of legislation to carry out operations in the fuel and energy industry, generation of policy of protectionism with respect to the fuel industry, preparation of proposals on restructuring of the industry etc. 65 RF laws and statutory acts, 12 government resolutions, 22 recommendations of Parliamentary hearings for the State Duma deputies – these are results of over 10 years Union’s work in the field of new laws adopted for the fuel & energy industry. The Union was engaged (appraisal and introduction of proposals based on thoughts of all oil and gas companies) in adopting and passing almost all laws related to activities in the fuel sector. 75 social and political documents – petitions and appeals to the President, Government, Federation Council in relation to the most urgent problems of the fuel & energy industry’s activities in Russia and abroad – were adopted and published by the Union for over 10 years. 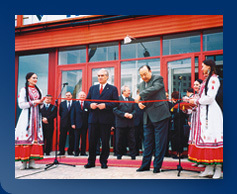 52 international sectoral exhibitions, 25 congresses and seminars, 18 scientific conferences – they reflect organizational participation of the Union in promoting and popularizing up-to-date high technologies for oil, gas and refining industries as well as in working out single corporate approaches and suggestions with respect to solution of important problems of the whole economy and specific sectors. To intensify this activity, Moscow Forum of Oil & Gas Producers was founded under the Union of Oil & Gas Producers of Russia.